How is the proliferation of tall buildings in Edmonton affecting training and planning by Edmonton Fire Rescue? Susan Padget asked that question on Taproot Edmonton‘s story garden. Finding out the answer taught us about a surprisingly tangible transition the city is making. Listen first, then read more below. 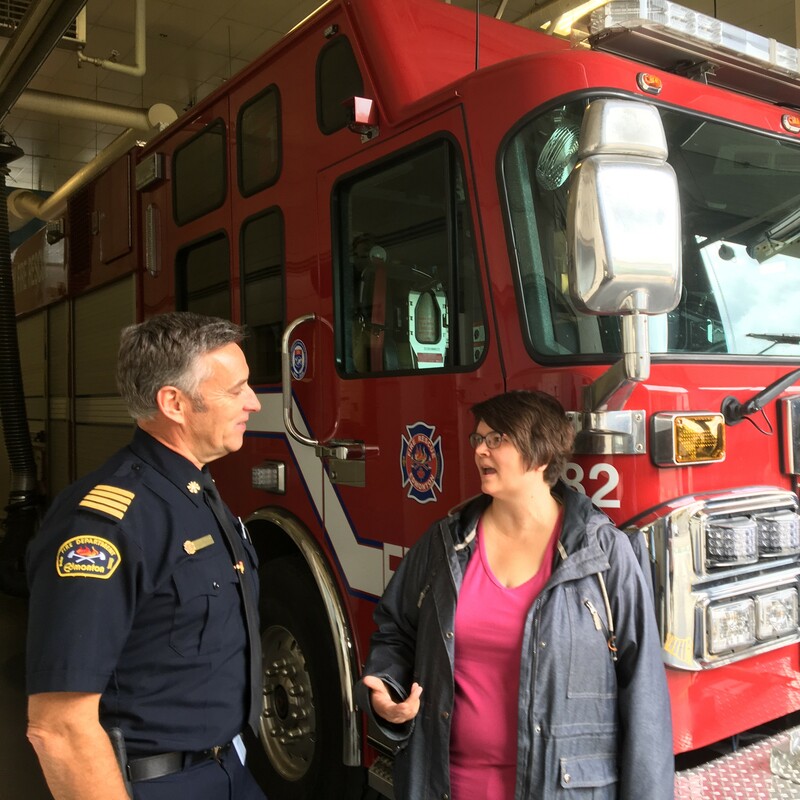 In this episode, we spoke with Dave Oldham, Edmonton Fire Rescue Services’ Chief Training Officer. Dave Oldham met us at Fire Station 1 downtown. This is the two-stage pump that Dave mentions are being installed in some of the service’s new fire trucks. In this episode, we gave a shoutout to fellow Alberta Podcast Network show Blue in the Face.